Industrial archaeology is concerned with the physical evidence of the industrial revolution and evolution, of the actual objects or remains as opposed to references in libraries and archives. The name has only lately come into use as the social historians have at last realised that they have been making too much use of what someone else has written and doing too little field work of their own. Industrial archaeology is not solely concerned with preserving the remains. It is realised that it is both impossible and absurd to try and preserve every relic of the industrial past. Some of the smaller items may be transferred to museums – if museums show sufficient interest, which is not always the case with industrial remains. But it is impossible to save everything, especially the larger items such as buildings, stationary engines and earthworks. The really well-known industrial remains, e.g. the iron bridge at Coalbrookdale or Brunel‘s Royal Albert Bridge at Saltash are most unlikely to be destroyed without first being carefully photographed and recorded. However, the story of our engineering heritage cannot be written and illustrated only in terms of the outstanding buildings or machines. With the present emphasis on change (which is not always synonymous with progress) many of these relics will soon be gone. It is essential to discover, list, photograph, measure and describe all the remaining relics, especially those that are less distinguished and therefore less obvious, e.g. 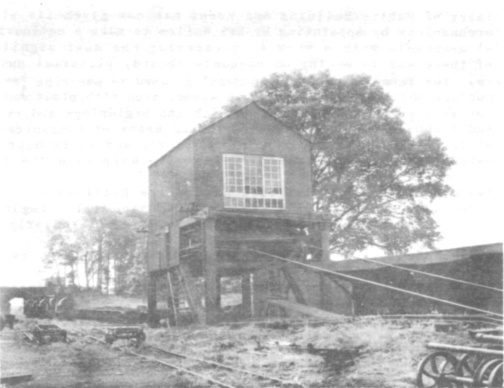 the smaller workshops, the abandoned quarries and the paraphernalia associated with the small industrial railway. It is in this sphere of industrial archaeology where disaster is most likely to occur; local people are often unaware of the historical importance of what they accept to be commonplace things. As a body, industrial railway enthusiasts have done extremely well in recording the locomotives, both by photography and by documentation of their use and location. In addition they have been, and still are, instrumental in preserving the more interesting locomotives (although ‘interesting" seems often to be construed as "more unusual" rather than "representative"). 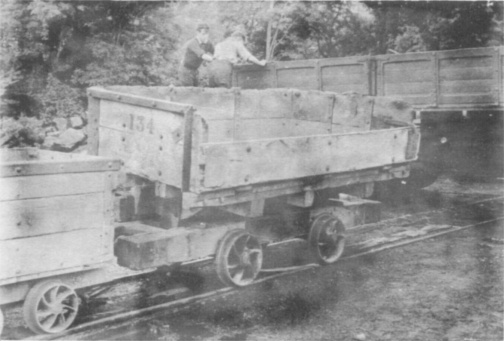 Other rolling stock has in the past been less fully recorded although fortunately photographs of locomotives often show wagons in the background. Here again, enthusiasts have initiated the preservation of wagons from now-defunct systems (fig.1). The movement of locomotives and wagons to museums and similar places for preservation is relatively easy, but this should not be taken as indicating that such movements are to be undertaken lightly. On the other hand, the larger objects connected with railways (e.g. track layouts, inclines, tipping arrangements, etc. ), if they are to be preserved, must obviously be preserved in situ. It is equally obvious that many of these large features will not be preserved. The Ministry of Public Building and Works has now given its blessing to industrial archaeology by appointing Mr Rex Wailes to make a nation-wide survey of industrial monuments with a view to preserving the most significant and worthwhile of these and to making an adequate record, pictorial and written, of the others. The term "industrial monument" is used to describe "any building or fixed structure which either alone or in association with plant and equipment illustrates or is significantly connected with the beginnings and evolution of industrial and technological processes including means of communication". It is clear that Mr Wailes cannot do the entire survey and it is hoped that all those interested in these industrial remains will help with the recording. I. Power (e.g. horse gins, watermills, windmills, engine houses, electricity generating stations – particularly the small and now obsolete stations). II. Transport (e.g. harbours, shipyards, tollhouses, canal works, railways and warehouses). III. Raw Materials (e.g. coalmines and buildings, other mines, quarries, blast furnaces and forges). IV. Manufacturing (a very wide range but a few examples are breweries, textile mills, potteries and brickworks). V. Industrial Housing (e.g. dwelling—workshops, services such as water supply and sanitation). Worsley coal tip at the end of the Bridgewater Collieries line from Sandhole Colliery, Lancs. 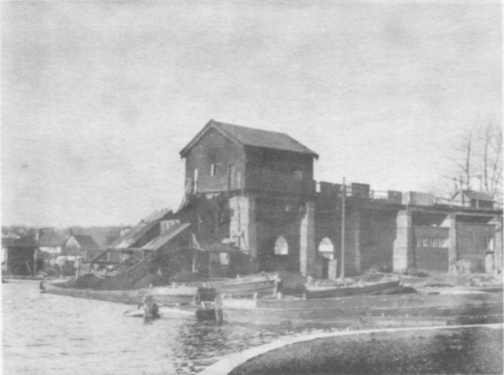 Photograph taken from the canal bank by G.H. Starmer on 11 January 1958. The industrial railway enthusiast is more likely to come across items of interest under sections I, III and IV rather than section II which is more concerned with public transport. In fact, the enthusiast searching for industrial locomotives is likely to come across more examples of industrial monuments than many workers in industrial archaeology. For example on a visit to Kettering Iron Furnaces some years ago, a request to see the locomotives was misunderstood as engines. As a result the writer was shown first the 20-inch Bull engine (which has since been ac4uired by the Birmingham Museum of Science and Industry) and then the enormous steam blowing engines, the largest of which had a 36-inch diameter steam cylinder. This led to the discovery that nearly all of the equipment associated with the furnaces was steam driven. Items under section III, Raw Materials, must also have come under the scrutiny of the industrial locomotive enthusiast. In pursuit of photographing locomotives, he will have walked the lines into the workings, observed the method of working, the whereabouts of navvies, the use of transporters and suchlike. These may even appear unintentionally in the background of the photograph. Of some of the once extensive systems, there are now only earthworks left and it is important that even these are recorded. Unfortunately they are no longer being left as an indication of route and working. The very nature of the older pits makes them ideal for refuse tips; modern earth-moving techniques quickly obliterate traces of recently closed lines as is instanced by the filling-in of the Scaldwell narrow gauge system only a month or so after the last run over the line. It is as well to take a leaf from the notebook of the traditional archaeologist regarding the photography of such remains. The shape of the earthworks shows most noticeably on photographs taken when the sum is low in the sky. Sunlight is essential as grass-covered banks and mounds will appear virtually flat if taken in dull light. Other industrial monuments the industrial railway enthusiast is likely to have encountered are rope-worked inclines, loading and unloading arrangements, winding engines and their engine houses, ropeways and their transfer to railways (and vice versa), locomotive sheds, coaling and watering arrangements, road crossings, bridges and viaducts (figs. 2 and 3). For those interested in helping to record these industrial monuments, the Council for British Archaeology supply record cards (at four shillings for one hundred) which on completion are to be sent to the Ministry of Public Building and Works. The record cards ask for information on the nature of the site, its location (County, Parish or Town, and grid reference), date of the site, description (dimensions, architectural features, present condition, sketches and photographs), machinery and fittings, the danger of demolition or damage, reporters name and address, and the date of his report. Since all enthusiasts who may be interested in contributing to this survey are not likely to have sufficient records of industrial monuments to fill a hundred cards, I will be pleased to make out cards for any observations that readers may care to send to me at 17 Mayfield Road, NORTHAMPTON. For those who wish to learn more of industrial archaeology, "Industrial Archaeology" by K. Hudson (published by John Baker, 1963) may be useful. This includes much of the information prepared by the Research Committee of the C.B.A, for their proposed handbook for workers in the field of industrial archaeology.